As I’m sure you will all know from my blog, premieres take place in London all the time – but next week is on another level, there are FOUR in a row! It is rare to have so many on consecutive days outside of the film festival, so here’s a rundown of what’s coming up. As I’m sure you’re all aware, I love me a juicy celebrity story, especially ones that are so shocking you just cannot believe them. So I initially devoured news of Amber Heard’s divorce from Johnny Depp in May and soon after she filed for a protection order claiming he had been abusive. In the past week things have got so nasty that I stopped wanting to hear about it, a rarity for a celeb gossip lover such as myself, and now I’m glad it’s seemingly over. Will celebs stop commenting on the Amber Heard & Johnny Depp scandal please? This is not about taking sides. Nobody knows what goes on behind the closed doors of a relationship, NO ONE. So why do Johnny Depp‘s friends and family think it’s a good idea to publicly defend him in the midst of these domestic abuse allegations?! It’s just wrong and they need to shut up. Now I love me some fashion, and after a sad day like today I need to distract myself by looking through the red carpet outfits from the 2016 Golden Globes Sunday night. The trailers for The Danish Girl brought tears to my eyes and I expected it to be as powerful and emotional as The Theory of Everything, but I can sadly report that I was disappointed. I went in with tissues, preparing to be seriously moved, so I was very surprised by how little this affected me. The XXL in Magic Mike XXL does a great job in describing what you are going to get in this male stripper sequel – it is bigger, bolder, sexier and much more fun. I’m never going to criticise a movie where we see Channing Tatum (Mike) dancing as I LOVE his moves, but I would still say I prefer the 2012 original. 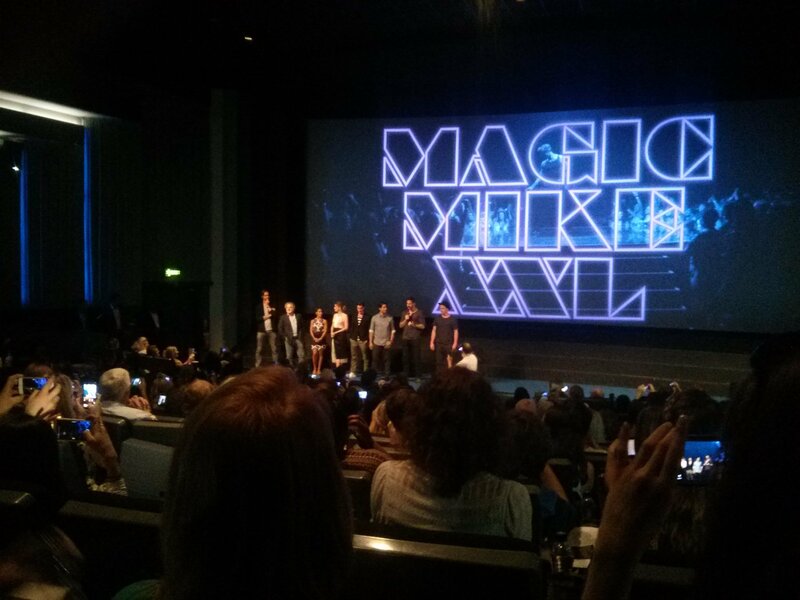 The cast of the new Magic Mike XXL surprised the audience at an advanced screening in London tonight and the crowd went nuts!! Jessica celebrated her 32nd last night with her husband Cash Warren and a few celeb pals. How cute is this pic?! What a cool moment! 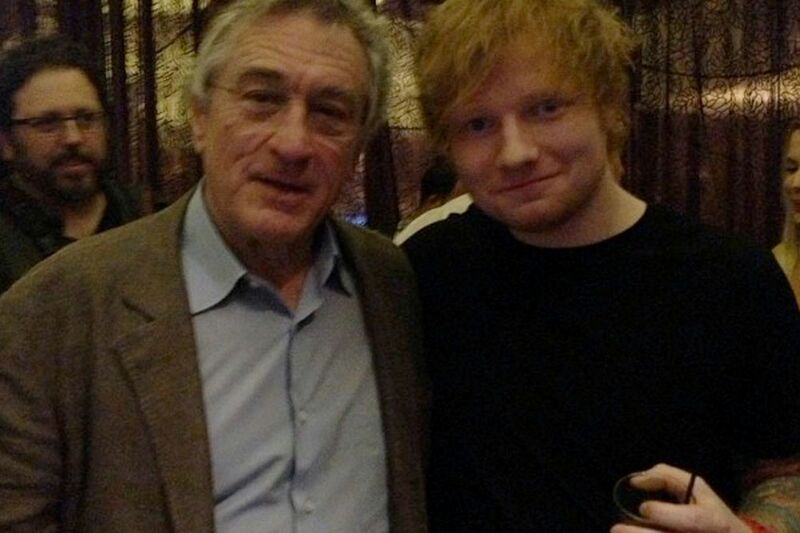 I bet Ed was overwhelmed meeting the legend that is Robert De Niro. Hayden is having a laugh with Sophia Bush and Nashville co-star Connie Britton at the White House Correspondents Dinner. 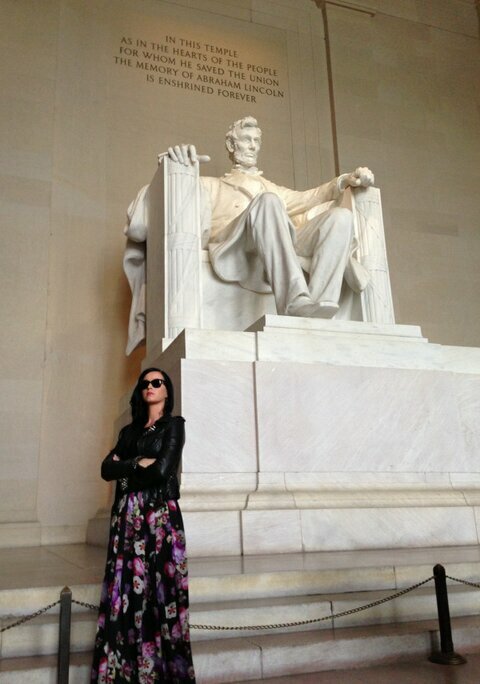 I love seeing celebs hanging out together. I have no idea who the dude at the bottom is! Who is the mystery lady that Johnny is holding hands with?! Well, according to the press it is his Rum Diary co-star Amber Heard. You can’t really tell from this picture, but you can tell it is her in the picture below next to Johnny’s hunched body.